Students can verify Ampere’s Law experimentally by graphing the magnetic field strength that is tangent to the path taken along a closed path that encloses a current source. 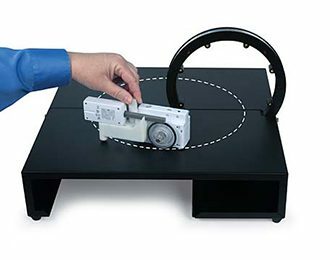 The Wireless 3-Axis Magnetic Field and Wireless Rotary Motion sensors allow students to move in any shaped path without wires getting wrapped around the coil. Students can choose any path they want, you don’t have to follow a circular path because the sensors are recording the field tangent to any path. 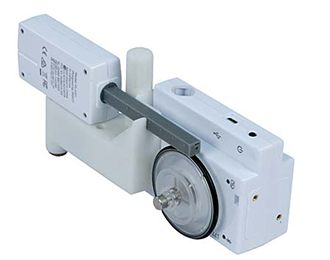 The key to making this work is that the Magnetic Field Sensor element is positioned tangent to the Rotary Motion Sensor’s wheel. This accomplishes the dot product in Ampere’s Law because only the component of the magnetic field that is tangent to the path is recorded.